I originally visited Hockley Woods parkrun with my daughter and ran it with her in her running buggy, so when the opportunity came up to head over for a solo revisit, I thought it would be a good opportunity to see what kind of time I could run on this course. However, the date we had picked coincided with the first of the Kent Cross Country League races so in the end I had to keep my pace under control in order to save some energy for later in the day. This opened up the opportunity to run the course at an easier pace and to really take in the location. First of all, apart from the car park, start line and a couple of points on the course, I couldn't really remember much detail about the route apart from it being almost two laps. Runs in the woods can have this effect as everything looks the same most of the way round. Due to lots of chatting and not much planning, we ended up starting right near the back of the field, which meant trying to filter through during the run. The paths can be a little narrow in places so this wasn't as easy as it could be on some courses. It took almost the whole of the first lap to really find some clear air and run at my desired pace - not too fast, but not too slow. A little faster than easy pace, but not quite tempo. At this kind of effort, I felt like I was getting a nice workout, but at the same time was able to take in the beauty of the woods. And they really are beautiful. Since my last visit, the relive app has been developed and I can now use the it to create course fly-by videos, so I did that with my GPS data and the result can be seen here - Hockley Woods parkrun relive fly-by video. 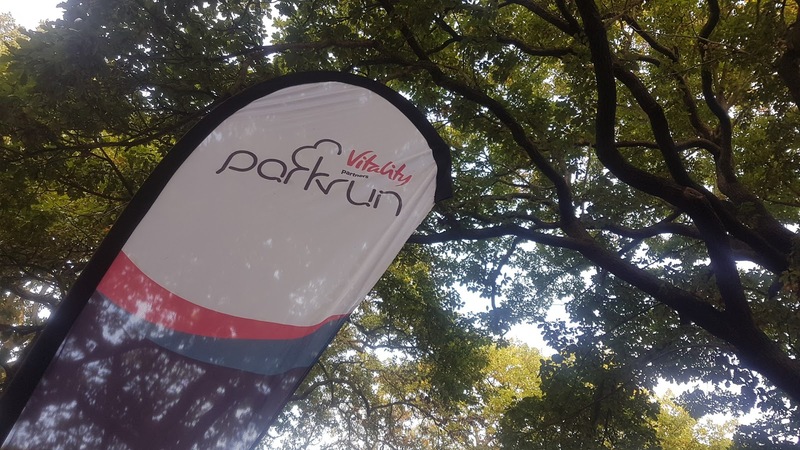 The full results were up online later that morning and can be found here - Hockley Woods parkrun event 138. At 24 minutes and something, it was a new course best time, which was nice but inevitable. So not quite as fast as I can go on this course. The good news is that there is another visit planned and this does not clash with cross-country so I will be able to put in a proper time trial effort, but will need to be a bit sharper when it comes to the walk to the start line.